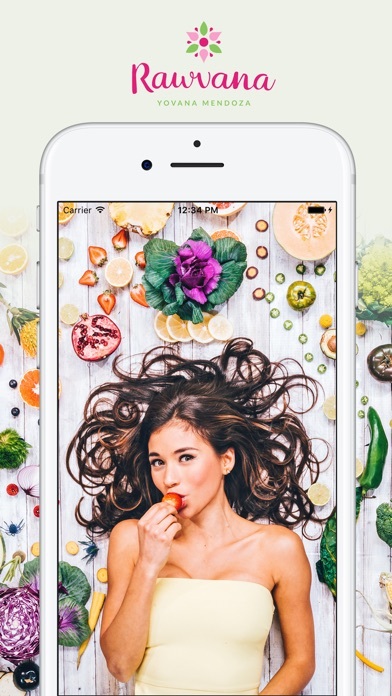 ***Featured by Apple in Healthy Eating*** Reached #1 in Food & Drink Category Rawvana’s Raw Recipes for iPhone, iPad, & Apple Watch contains over 110 delicious, easy to follow raw vegan recipes from the kitchen of Yovana Mendoza. From juices, smoothies, salads, and dishes, Rawvana has you covered. All recipes come with high-resolution images and step-by-step instructions. 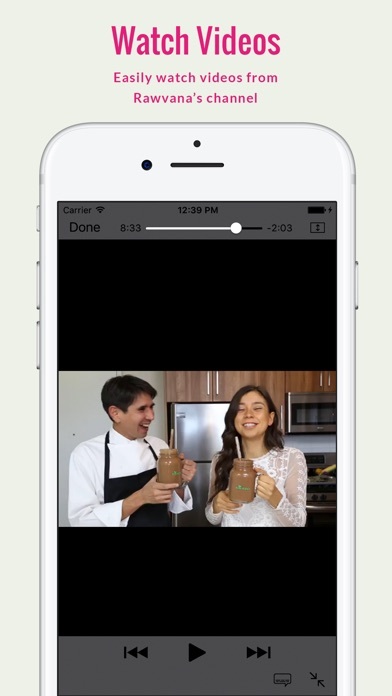 You can also follow along by watching videos directly from Rawvana's channel. 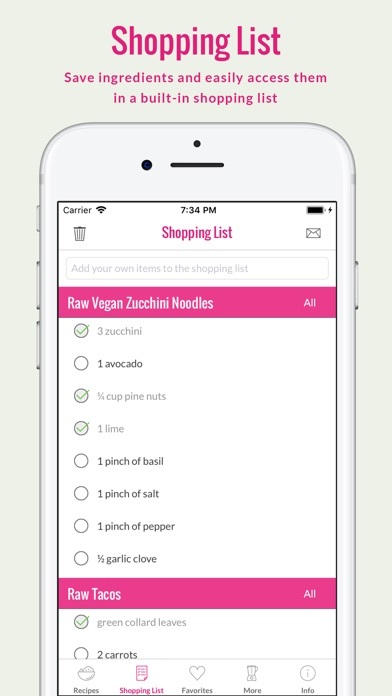 The app comes equipped with a shopping list feature that allows you to add ingredients from any recipe or create your own custom list. 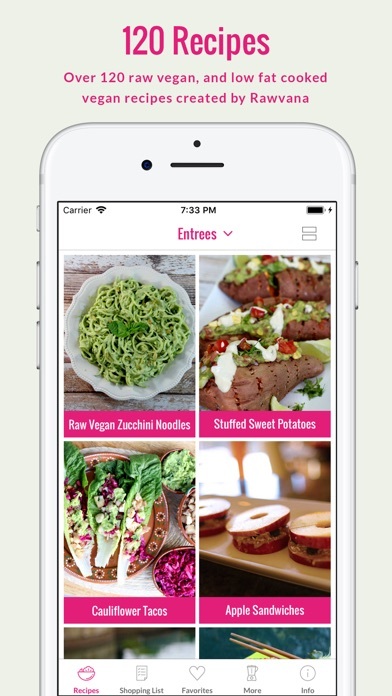 You can also save your favorite recipes into a collection for an easy and quick reference. Example recipes include: • Raw Vegan Hamburger • Thai Rice • Red Cabbage Tacos • Raw Pizza • Pasta Bolognese • Asian Salad With Mango Dressing • Mango Tostadas • Agua De Horchata • Juice for Radiant Skin • Coconut Cream Cookies • Smoothie For Kids • Weight Loss Smoothie • Bell Pepper Chipotle Sauce • Hummus Veggie Dip • Chia Pudding Key features: • NEW - Now over 120 raw vegan recipes! • NEW - Updated design! 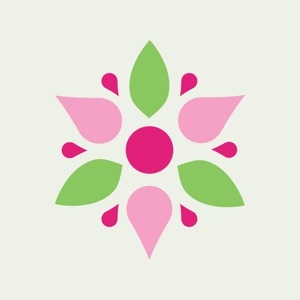 • NEW - Explore Rawvana stickers! • NEW - iOS 11 Support! • NEW - Optimized for iPhone X • Apple Watch Integration • Built-in shopping list • Step-by-step instructions • Personalized favorites page ---- We'd Love to Hear From You! 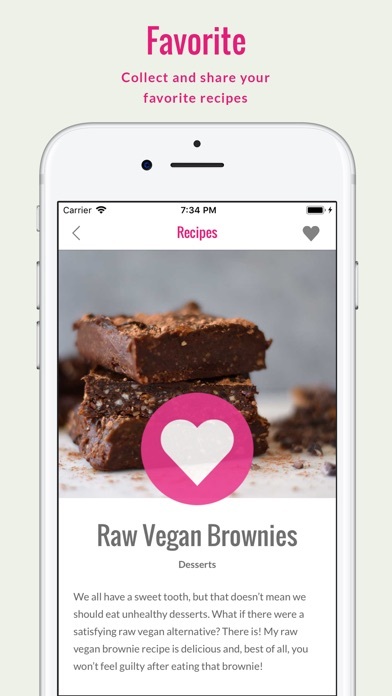 - Share your creations with #RawvanaApp #Rawvana - Please share your thoughts in a review! Your experience matters to us. - Need support? Contact us at [email protected] - Check us out on Facebook! facebook.com/touchzenmedia - Follow us on Instagram and Twitter @TouchZenMedia ---- This app is not intended to provide medical advice. All content, including text, graphics, images, and information in this app are for general informational and educational purposes only. The content in this app is not intended to be a substitute for professional diagnosis or treatment. The authors and publishers of this app are not responsible for any adverse effects that may occur with the use of the information in this app. You are encouraged to make your own healthcare decisions based on your research and in partnership with a qualified healthcare professional.